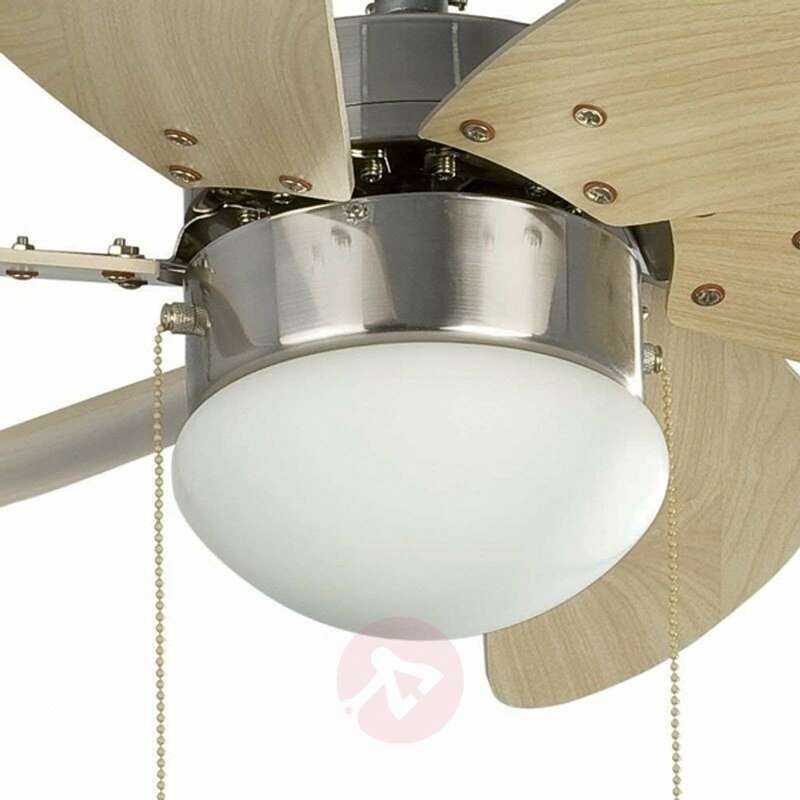 PALAO is an attractively shaped ceiling fan with a lamp with a bulbous white glass shade, which provides pleasant basic lighting. 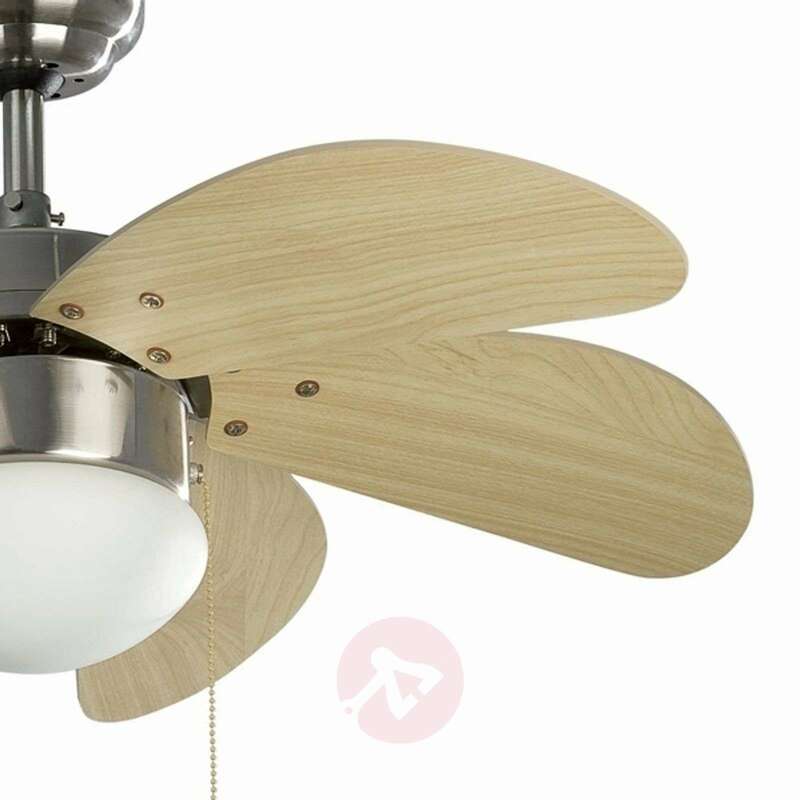 The fan can be operated at 3 speed levels. In addition, it is equipped with an inverse function for winter operation. This makes it possible to save up to 10% in heating costs. It is operated using the two pull switches on the device. - Suitable for sizes up to 15 m² in size. 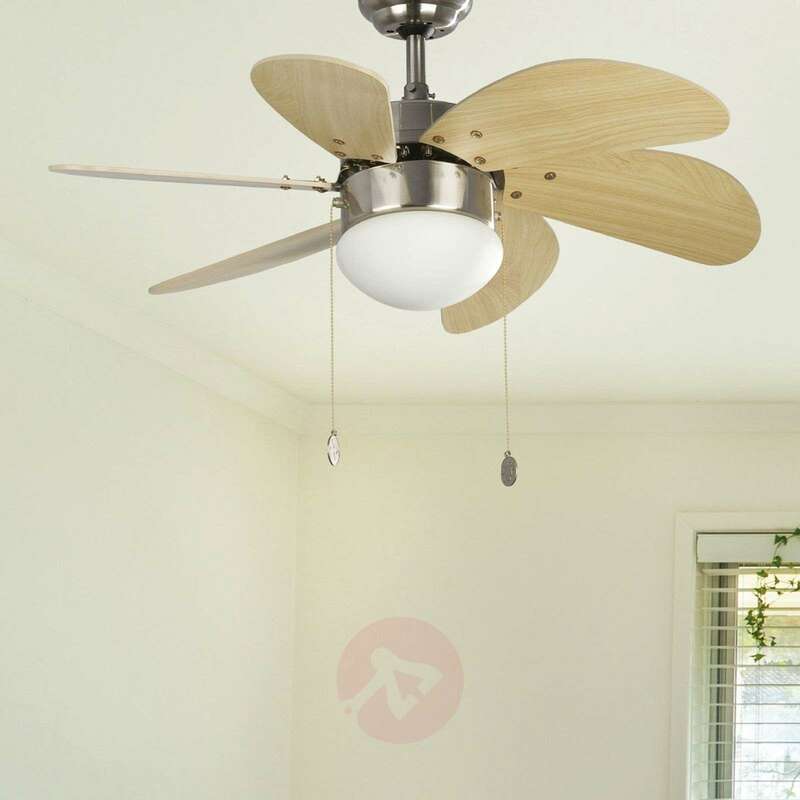 No extension rod is available for this ceiling fan. 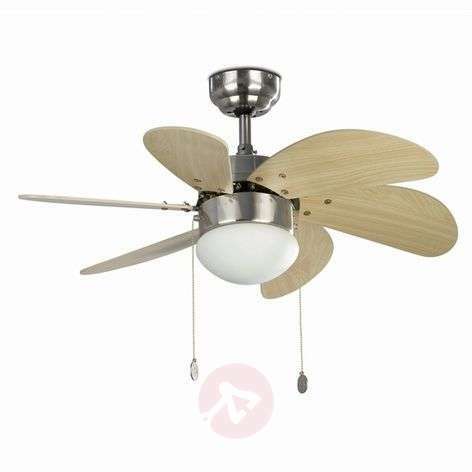 The warranty of 15 years on the motor and 2 years on the fan is worth mentioning.